Indymedia Ireland censorship promotes ignorance.Censorship in Indymedia Ireland attempts to discourage and prevent access to media. Media contains information critical to informed analysis and debate. Debate generally doesn't happen on Indymedia Ireland because Stalinist and Nazi like censorship doesn't have where with all to debate so they censor like the book burning Nazi's of Hitler and Stalin. Indymedia Ireland censorship promotes ignorance.Censorship in Indymedia Ireland attempts to discourage and prevent access to media. Media contains information critical to informed analysis and debate. Debate generally doesn't happen on Indymedia Ireland because Stalinist and Nazi like censorship doesn't have where with all to debate so they censor like the bookburning Nazi's of Hitler and Stalin. Failure to acquire information perpetuates ignorance of that information. Preventing access to media and deleting articles regularly from prevents access to information.Indymedia Ireland censorship prevents access to media and enables the ignorance that kills women like Savita Halappanavar. Therefore Indymedia Ireland censorship promotes ignorance.No logical explanation can circumvent this simple truth so Indymedia Ireland will censor this article which will be copied and posted elsewhere as proof of their systematic censorship of all things progressive in Ireland. You may argue that most media contains inappropriate, false, irrelevant or irreverent information but that is no excuse for not debating it instead of censorship. Censorship like fascism is heartless. Neither denying or admitting the validity and value of information, I simply state that lack of information through censorship in Indymedia Ireland causes ignorance of that information. They may argue that we are better off without some information but the truth is, if in truth we are better off without some information, then who has the wisdom and objectivity required to decide the information we are better off with or the information we are better off without? Indymedia Ireland censors must access information to decide its inappropriate qualities, false-hoods, irrelevance or irreverence of the information. If Indymedia Ireland censors honestly, with direct contact, label media as inappropriate, false, irrelevant or irreverent, then the Indymedia censors must have accessed the information. To allow a small minority group access all information so they can restrict the amount of information available to the remainder of the Irish population is incompatible with a free society. In an Irish society that allows a minority to determine the level of ignorance to which the majority of Ireland is subjected, who empowers this elite group? Who determines who in Ireland sees all that keeps the remainder in darkness? Who decides what is appropriate, true, relevant or reverent? What criteria have they developed to determine how ignorant the general Irish public should be? Who in Indymedia Ireland developed this criteria? They may argue, there is information that is inappropriate for children? If a child has the intellect to understand concepts, then it is time to introduce the child to those concept; to encourage the child to learn the social consequences, individual responsibilities and acceptable responses to those concepts.Ignorance is not bliss.Rather than censor articles, videos, photographs perhaps Indymedia Ireland might teach to interpret media and encourage children to acquire the skill of applying discretion and the correct response to inappropriate, deceptive, irrelevant or irreverent material. Imagine an Irish culture of people making informed decisions about content experienced in contrast to an Irish culture who live in the dark ignorance of Indymedia ireland censorship. All censorship including the censorship of political correctness, censorship of Church, censorship of State, and particularly censorship imposed by multinational corporations leads to ignorance in its citizens.Ireland cannot afford anymore ignorance and should sense developing tragedy when Irish(British) censors ignorantly deem themselves qualified to determine what you and I can read and watch. 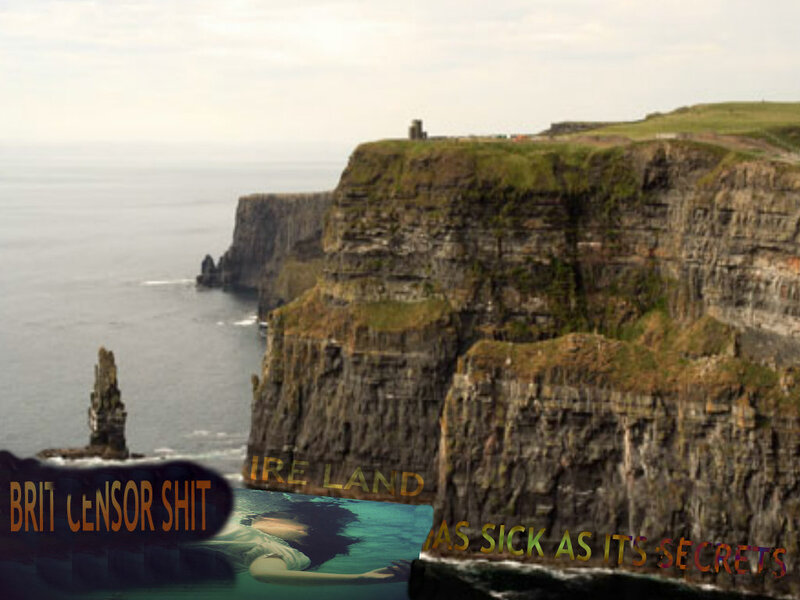 Indymedia Ireland Ignorance does not ignite the human spirit of Ireland. Dark forces dim our potential as free, creative and productive Irish citizens. Shadows cast by censors from walls erected by champions of secrecy and ignorance, champion we do not choose, champion to protect us from ourselves without asking permission or explaining coherently why? Champions who continually and deceptively promote themselves as progressive.No its not science fiction but it is happening right here, right now in Indymedia ireland, I challenge them to debate this not censor it ! Indymedia censorship leads to ignorance. Censorship in Ireland is on the rise.Ignorance that killed Savita Halappanavar in Ireland still flourishes.